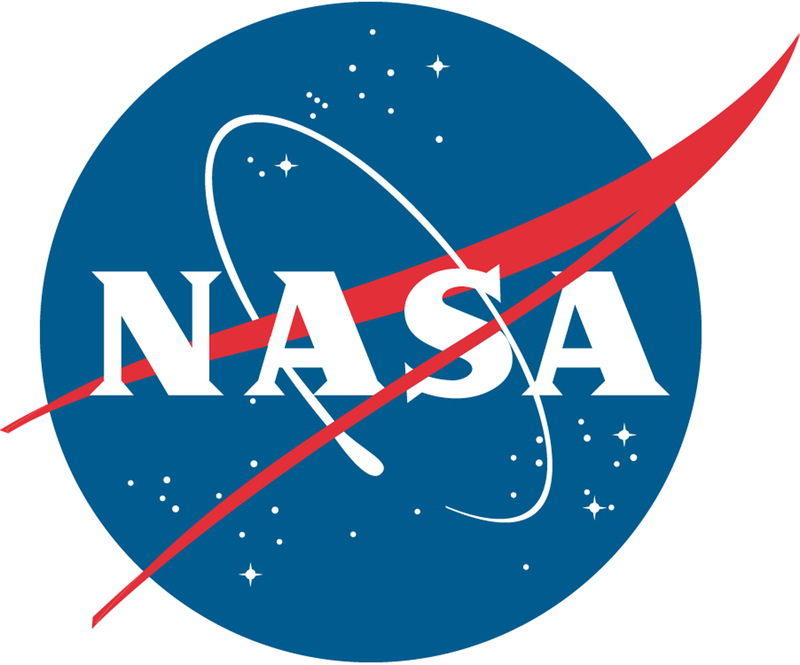 NASA TV will feature the NASA Exploration Forum this afternoon beginning at 12:30 p.m. 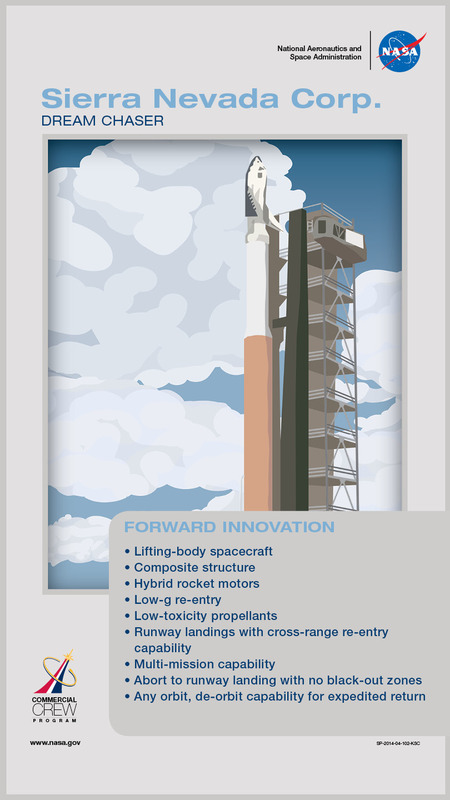 The event will lay out the space agency’s building block approach leading to the human exploration of Mars. Phil McAlister, director of NASA’s Commercial Spaceflight Division, will discuss where private industry advancements fit with the agency’s overall goal. The event runs until 3:05 p.m. You can watch it on NASA TV and streaming at nasa.gov/ntv. 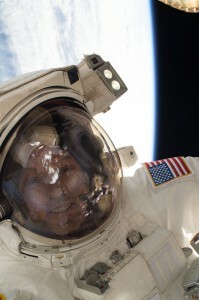 Yesterday, Steve Swanson shared his view of Earth from outside the International Space Station. See if you can view the station from where you are by visiting http://spotthestation.nasa.gov/. Viewing opportunities today include 9:30 p.m. EDT over Orlando, Fla., 8:27 p.m. CDT over Houston and 7:59 p.m. PDT over San Diego, Calif.
NASA has selected Kathy Lueders as program manager for the agency’s Commercial Crew Program (CCP). Lueders has served as acting program manager since October 2013. 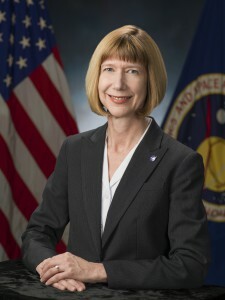 She will help keep the nation’s space program on course to launch astronauts from American soil by 2017 aboard spacecraft built by American companies. Space Exploration Technologies, better known as SpaceX, is one of four NASA partners working with the agency’s Commercial Crew Program to develop new capabilities to transport people to low-Earth orbit. Ultimately, NASA intends to certify and use commercial systems to fly astronauts from the United States to the International Space Station and back. Click here for a printable version of this poster. Sierra Nevada Corporation is one of four NASA partners working with the agency’s Commercial Crew Program to develop new capabilities to transport people to low-Earth orbit. Ultimately, NASA intends to certify and use commercial systems to fly astronauts from the United States to the International Space Station and back. Click here for a printable version of this poster. The Boeing Company is one of four NASA partners working with the agency’s Commercial Crew Program to develop new capabilities to transport people to low-Earth orbit. Ultimately, NASA intends to certify and use commercial systems to fly astronauts from the United States to the International Space Station and back. Click here for a printable version of this poster. 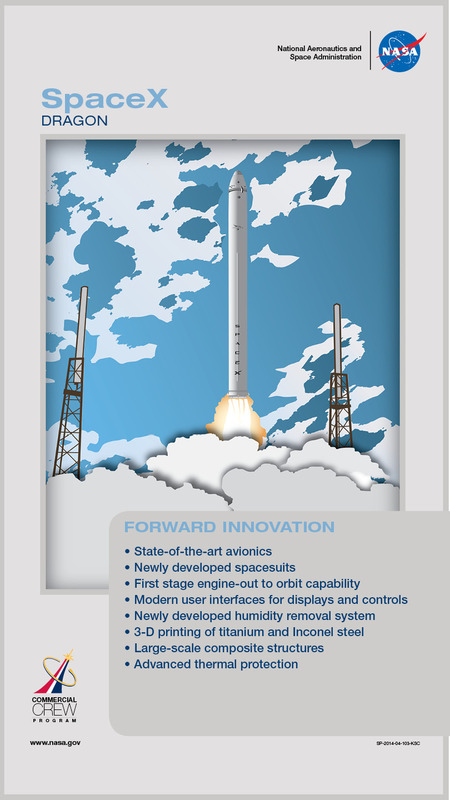 Blue Origin is one of four NASA partners working with the agency’s Commercial Crew Program to develop new capabilities to transport people to low-Earth orbit. Ultimately, NASA intends to certify and use commercial systems to fly astronauts from the United States to the International Space Station and back. Click here for a printable version of this poster. 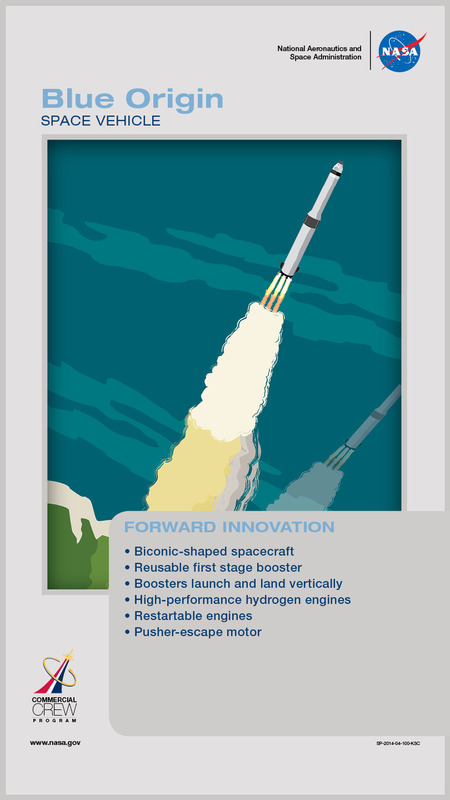 Improved manufacturing techniques, simplified control systems and cutting edge computers are some of the advancements industry partners of NASA’s Commercial Crew Program plan to employ to make their missions successful. 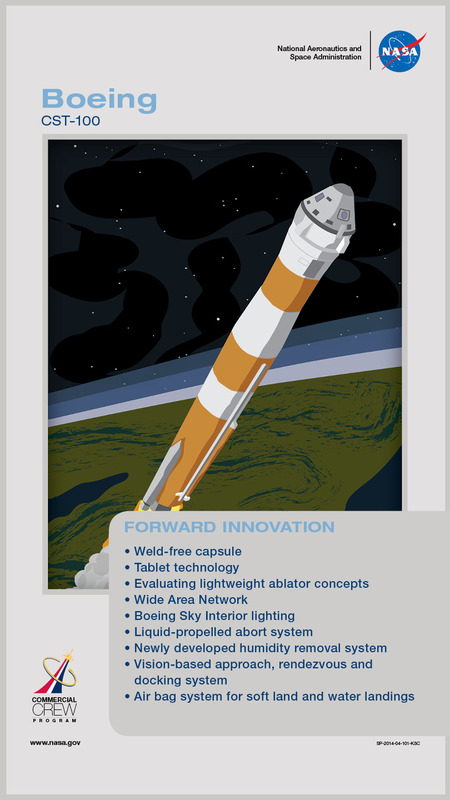 This week, we’ll show you some of the notable innovations that each of the CCP partners have included in their designs up to this point in their own efforts to make spaceflight safe, reliable and cost-effective. 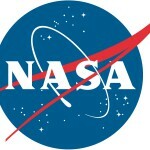 NASA’s role in this is to offer expert advice drawn from 50 years of experience. 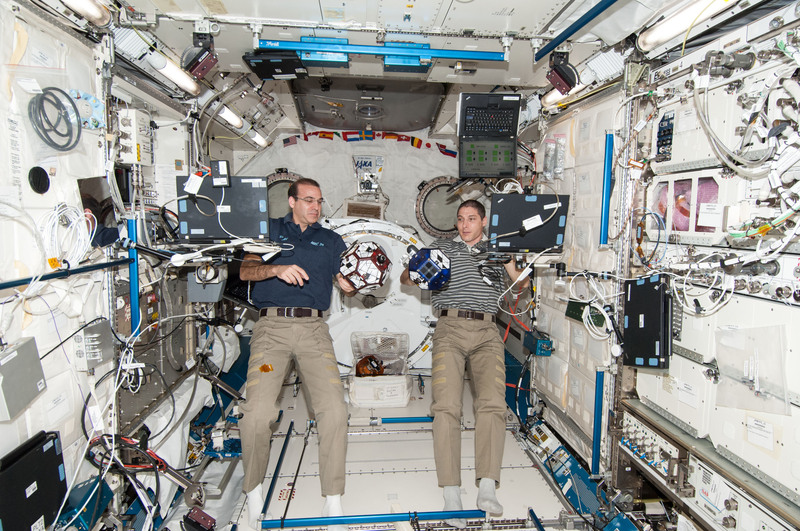 Astronauts today routinely conduct live interviews with Earthbound students and reporters from orbit aboard the International Space Station, but that was not always the case. NASA astronauts did not broadcast anything live from space for the Mercury or Gemini programs. 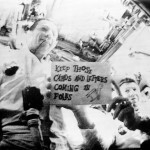 The first Apollo mission changed that, however, and the Apollo 7 crew of Wally Schirra, Donn Eisele and Walt Cunningham showed the way to conduct a live show in a tradition that eventually included showing the first landing and steps onto the moon and then daily life aboard NASA’s first space station, Skylab. Shuttle astronauts spent considerable time on the flight deck in front of a camera to detail for viewers and chroniclers what it meant to work in space on some of the most sophisticated missions undertaken. Future audiences will see astronauts emerge from Commercial Crew vehicles into the space station. Check out the giant leap that broadcast quality has seen from Apollo 7’s October 1968 transmission to those seen today from the space station.